DETROIT, MI, March 19, 2018– Catholic Charities of Southeast Michigan (CCSEM), serving as the charitable arm of the Archdiocese of Detroit, has chosen a heavenly patron to support its work in the six-county region. On the saint’s own feast day, Catholic Charities announces it has adopted the foster father of Jesus Christ, Saint Joseph, to be its special patron saint. 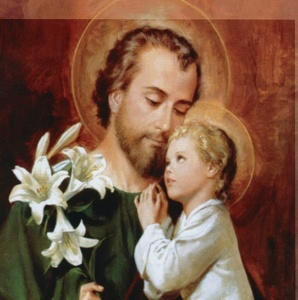 Catholics know Saint Joseph by many titles, including the patron of the universal Church, patron of the family, and patron of the worker. CCSEM will honor Saint Joseph with its décor at its upcoming Annual Celebration April 28 at the Somerset Inn in Troy. Table centerpieces will feature candles with Saint Joseph’s image, and white lilies, a flower commonly pictured in the saint’s arms. Lilies symbolize the saint’s virtues of faith and purity, and his role as protector of the Holy Family. Good Saint Joseph, just as you protected and watched over your adopted son Jesus, we ask you to watch over Catholic Charities of Southeast Michigan. May our works of mercy be an extension of your loving and compassionate arms to the vulnerable in our world today. We ask this through Christ our Lord. Amen. For more information about the CCSEM Annual Celebration, contact Farrah Shammas at (248) 778-6150 or shammasf@ccsem.org.